Celebrating Independence Day here in the USA! Not really a card holiday, but I thought a gift tag might be nice for a hostess gift (and Irene, you know I am thinking of YOU!) for the party house. Supplies: Stamps – Hero Arts, Stampendous, paper – Neenah Classic Crest Solar White, Stampin’ Up! Brilliant Blue textured (retired), Real Red, inks – Stampin’ Up! Brilliant Blue (retired), Real Red, VersaFine Onyx Black, dies – Spellbinders (circle, square, banner), Taylored Expressions (tag), twine – Offray. Categories: gift tag | Tags: Hero Arts, Neenah, Offray, Spellbinders, Stampendous, Stampin' Up!, Taylored Expressions, Tsukineko, VersaFine | Permalink. I really like the stars and stripes heart. Tags are such fun to make too, aren’t they? This is a little bit of gorgeousness to pass on. Happy July 4th! 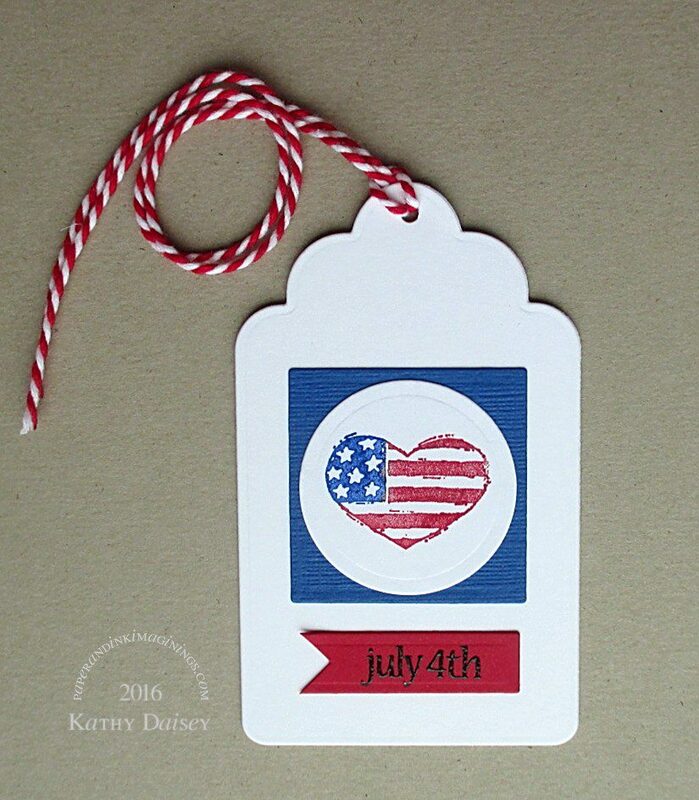 The stars and stripes heart was one of my first stamp purchases (fall of 2002). Thank you for the very kind comment!